CarsDirect Review: Car Buying Made Easy? Going into a car dealership can be overwhelming. Luckily, CarsDirect offers a much less stressful way to find the car that's right for you. CarsDirect provides multiple services, including helping you find a new or used car; finding appropriate financing; or determining a fair trade-in value for your current vehicle. Everything you do is online, so there aren't any high-pressure sales tactics at work. CarsDirect doesn't sell you the car or fund your loan - they operate as a third-party service (broker). They take in your information and then match you with one of the hundreds of dealerships or lenders they partner with that suits your needs the most. Is using CarsDirect worth it? Keep reading to find out more about this service. Buying a New or Used Car: You can easily choose to search for new or used listings. Both options will give you a target price and the option to be matched with local dealers. Financing: Within the following 24 hours of applying for financing, lender partners may contact you with questions and/or offers. Once you receive an approval that you like, you can shop for a car as if you were paying cash, since you already have your financing. People Who Dislike Haggling: When you shop for a car through CarsDirect, you deal with the dealership's internet department. While you still might do some haggling, almost everything is done online, or over the phone if you prefer. You don't have to step foot into the dealership until a deal is made and you are ready to sign the papers. People with Bad Credit: If you need financing for a car, you may not find it by going directly through the dealer if you have bad credit. CarsDirect partners with a large number of lenders that work with buyers with bad credit, helping you to get an auto loan with decent terms and without the hassle of dealing with a high-pressure finance manager in person. Buyers Who Shop Around: Shopping around for a car in person can be exhausting. Plus, if you don't have the time in your day to go to multiple dealerships, shopping around could really drag out the car buying process. When you use CarsDirect, you may receive offers from a variety of dealerships, all from the comfort of your own home. 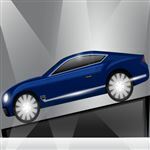 New and Used Car Searching: Many broker websites offer help for either new or used cars. CarsDirect offers access to both and even gives you the option to browse through used cars of the make and model you've chosen for a new car. This gives you the chance to know all of your options and make a solid financial decision. Zero Fees: You can use CarsDirect to find the perfect car for you and you won't pay any fees to the company. You may pay miscellaneous fees to the dealer that include advertising fees, though. Make sure you read through each charge and ask questions so that you are aware of what you are paying. 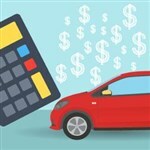 CarsDirect Target Pricing: If you don't have the first clue what to offer for a car, CarsDirect can help. After you choose the appropriate make, model, and options for the car you want, CarsDirect provides a "Target Price." You can use this to help get a price close to what others have negotiated and settled on in your area. Useful Buying Guide: If you are unsure of the type of car you want, read through the various Buying Guides to help you make an informed decision. It's nice to have all of the information you need in one place. Comparing Cars is Easy: If you are torn between two or more cars, create a side-by-side comparison of the cars so that you can compare the features easily. This can help eliminate some of the confusion and/or pressure you'll feel while in the dealership, helping you to make a better decision. Lots of Financing Options: Once you complete the application, CarsDirect will pair you up with the lender that suits your situation the best. If you have bad credit, you don't have to worry about only receiving declined applications. CarsDirect will pair you with the appropriate lenders. Haggling is Still an Option: Even if you hate negotiating, you may find yourself feeling confident about doing so after using CarsDirect. Using the information they provide, including the target price and incentives, you can negotiate the best deal for your situation, oftentimes over the phone or via email. Estimate Your Trade-In Value: Rather than trusting that the dealer is giving you the best price available for your trade-in, you can have the CarsDirect information handy so that you can properly negotiate a fair price for your trade-in/deposit. Pre-Approval Financing: Sometimes having your financing in hand makes it easier to negotiate a better price for the car you want. You aren't at the dealer's mercy for financing, which may make you stronger when negotiating a price for your car. User Friendly Website: There's nothing more frustrating than trying to navigate a website unsuccessfully. Buying a car is stressful enough, so it's nice to know that you can easily navigate the CarsDirect website and get the information you want. Terms Can Change: CarsDirect doesn't offer the financing; they just match you with a lender. Some lenders may do a "bait and switch" transaction, leaving you with less than desirable terms on your loan. Weak Trade-In Tool: While you'll get an estimated amount you should receive for your trade-in, that's all you'll get. It's not a set-in-stone price a dealer must give you. 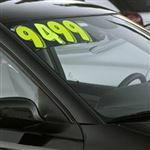 While it does give you a good idea of what you should expect, dealers can come up with their own prices. Great for Leads, Not Much Else: Since CarsDirect doesn't do anything in the way of getting you a car or financing, you may see it as a lead capture website that sells your information to third parties. If you aren't comfortable with your information being sold to other companies, you may want to try another service. Costco's Auto Service provides you with a "pre-negotiated price" for your area and the car you want. Some people find that these so called "lower prices" aren't anything less than what any other buyer can get, though. The point of the service is to help you avoid haggling, but many buyers still end up trying to get a lower price. TrueCar claims to find you the lowest prices for your desired car in your area. They provide you with a TrueCar "certificate" that you present to the dealer to get your low price. Many people find that they can negotiate lower prices than the "low price" TrueCar provides, though. TrueCar is more like a lead generation service, much like CarsDirect. MyAutoLoan provides you with the funding necessary to buy a car. You complete their application and you'll receive offers from several lenders via email or phone. You can then submit the additional information required from your chosen lender and secure your financing straight from them. If you want help buying a car, or feel better knowing the "average" price for the area, CarsDirect can be a valuable resource. You will still have to put your own time and legwork into the process though, so that you can get the best price for your car and the financing should you go through the dealer rather than one of CarsDirect's partners. Plan on spending over $35,000 for a new car and letting the dealer earn as much as a 6% profit on your purchase. Share on Facebook "CarsDirect Review"